Earthworm Jim from the popular cartridge version. 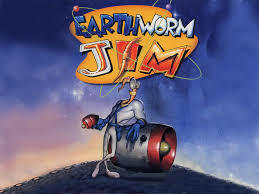 In this game the players Jim who is an Earth Worm. In this wacky game you must fight though 20 levels plus an additionally added level not available in previous versions.